If you have always wanted to see various cultures of the world in a single destination, then Berjaya Hills gives you the chance to do just that. Nestling serenely against 16,000 acres of rugged hills surrounded by the tropical rainforest, Berjaya Hills beckons with three different settings. 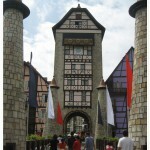 The main draw here is the French-style Colmar Tropicale, a replica of the original 18th century Colmar Village in Alsace, France. Tucked away higher up is the Zen-inspired Japanese Village. 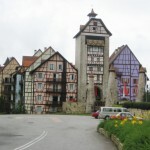 The third and newest attraction here is the Chateau Spa & Wellness Resort, a French themed boutique hotel and spa modelled after an 18th century medieval castle in France.